ALLENTOWN, Pa. -- Jill Stein's bid to recount votes in Pennsylvania was in trouble even before a federal judge shot it down Dec. 12. That's because the Green Party candidate's effort stood little chance of detecting potential fraud or error in the vote - there was basically nothing to recount. Pennsylvania is one of 11 states where the majority of voters use antiquated machines that store votes electronically, without printed ballots or other paper-based backups that could be used to double-check the balloting. There's almost no way to know if they've accurately recorded individual votes - or if anyone tampered with the count. More than 80 percent of Pennsylvanians who voted Nov. 8 cast their ballots on such machines, according to VotePA, a nonprofit seeking their replacement. VotePA's Marybeth Kuznik described the proposed recount this way: "You go to the computer and you say, 'OK, computer, you counted this a week-and-a-half ago. Were you right the first time?'" Their prevalence also magnifies other risks in the election system, simply because error or fraud is harder to catch when vote counts can't be verified. And like other voting machines adopted since the 2000 election, the paperless systems are nearing the end of their useful life - yet there is no comprehensive plan to replace them. "If I were going to hack this election, I would go for the paperless machines because they are so hard to check," said Barbara Simons, the co-author of "Broken Ballots," a study of flawed U.S. voting technology. Stein described her recount effort as a way to ensure that the 2016 election wasn't tainted by hacking or fraud. There's no evidence of either so far - a fact federal judge Paul Diamond cited prominently in his decision halting the Pennsylvania recount . But a cadre of computer scientists from major universities backed Stein's recounts to underscore the vulnerability of U.S. elections. 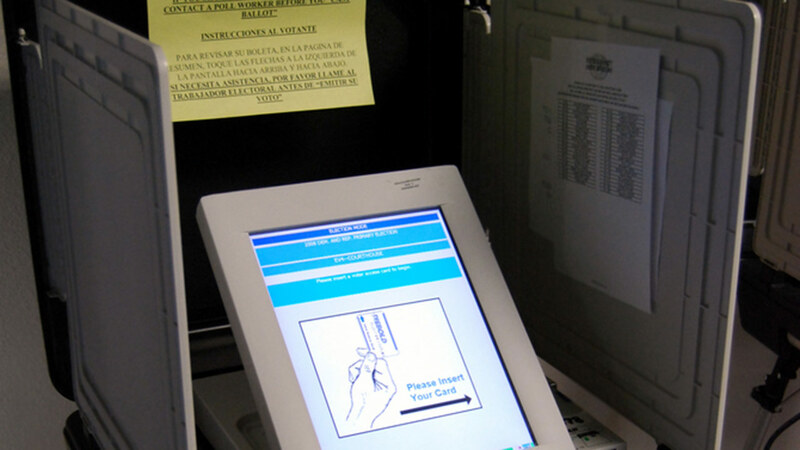 These researchers have successfully hacked e-voting machines for more than a decade in tests commissioned by New York, California, Ohio and other states. Stein and her witnesses said worries about fraud were justified given U.S. charges that Russia meddled in the 2016 presidential campaign. Emails of top Democrats were hacked and leaked. Over the summer, hackers also tried to breach the voter registration databases of Arizona and Illinois using Russia-based servers, U.S. officials said. Election networks in at least 20 states were probed for vulnerabilities. "It's a target-rich environment," said Rice University computer scientist Dan Wallach. Researchers would like to see the U.S. move entirely to computer-scannable paper ballots, because paper can't be hacked. The U.S. voting system - a loosely regulated, locally managed patchwork of more than 3,000 jurisdictions overseen by the states - employs more than two dozen types of machinery from 15 manufacturers. Elections officials across the nation say they take great care to secure their machines from tampering. They are locked away when not in use and sealed to prevent tampering. All of that makes national elections very difficult to steal without getting caught. Most voting machines in the U.S. are at or near the end of their expected lifespans . Forty-three states use machines more than a decade old. Most run on vintage operating systems such as Windows 2000 that pre-date the iPhone and are no longer updated with security patches. On Nov. 8, election officials across the U.S. handled numerous complaints of aging touchscreens losing calibration and casting votes for the wrong candidate. Money flowed after the 2000 Florida recount debacle, when punch-card technology was discredited by hanging chads. Congress appropriated $4 billion for election upgrades; states raced to replace punch cards and lever machines with digital technology. But when that money ran out, so did the ability of many states to address security concerns overlooked in their initial rush. Four in 5 U.S. election officials polled by New York University's Brennan Center last year said they are desperate to replace equipment but lack the cash. Voters in poorer areas suffer disproportionately, the center found. Data collected in Virginia, Ohio, Minnesota and Colorado suggests the poor are more apt to encounter failing machines. In Virginia, wealthier counties near Washington have upgraded technology while lower-income counties in the state's southwest have not been able to afford it, said Edgardo Cortes, the state elections commissioner.